Elevated levels of radon have been found in many counties throughout North Carolina. Most homes in the coastal plains of North Carolina usually have low radon levels, while the upper piedmont and mountain areas have the greatest proportion of homes with elevated levels of radon. 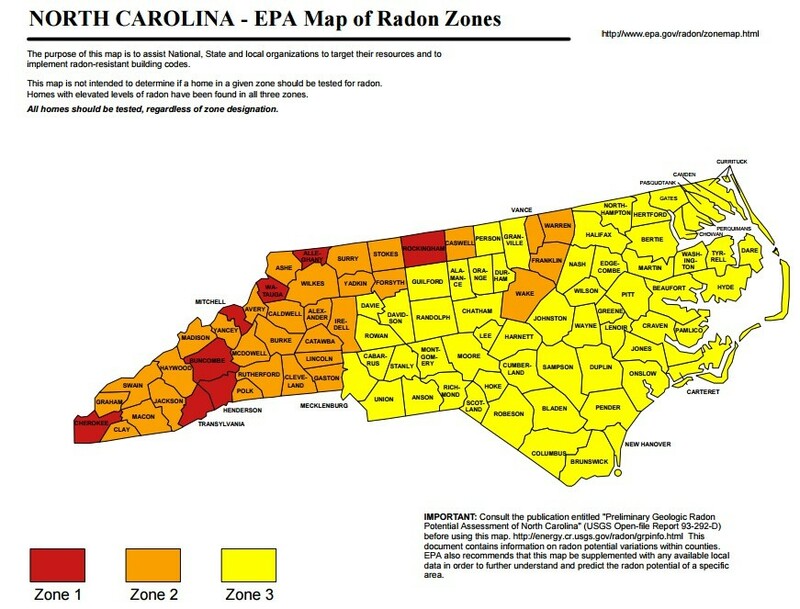 Radon is present in Greensboro, Winston Salem, Burlington, Raleigh, Durham, Cary, Chapel Hill, Apex, and the surrounding areas. This is a great informational video on Radon. If you are purchasing a home in North Carolina, Home Spectors can perform a Radon test at the end of the inspection. Results of the Radon test are emailed within 2 business days.